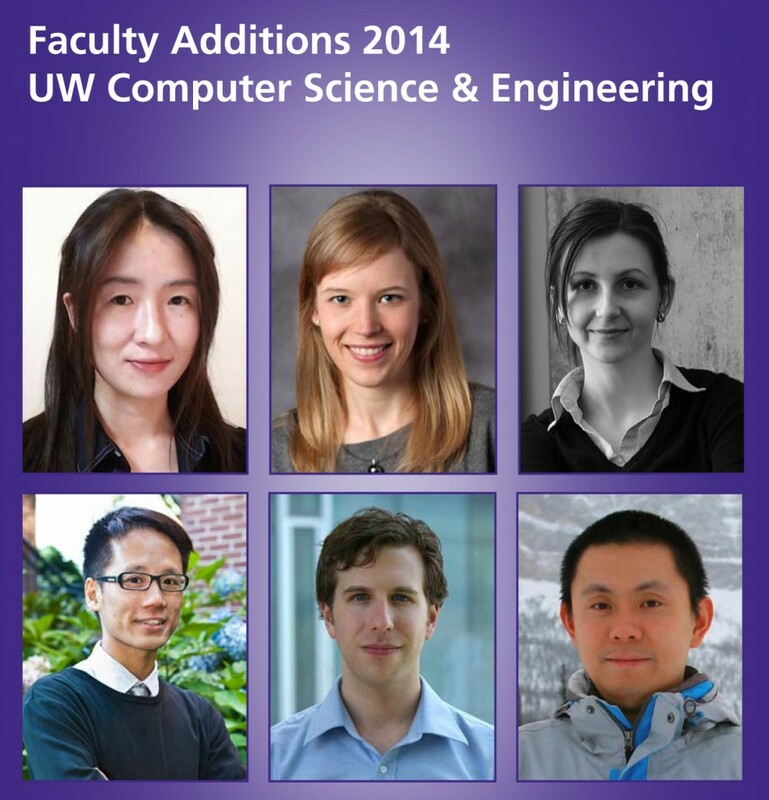 Six new hires — on top of ten new hires in the preceding two years — reinforce UW Computer Science & Engineering’s position among the very best programs in the nation, and establish leadership positions in several key areas of the field. Complementing our recent game-changing hires in Machine Learning, “Big Data,” Computer Vision, and other areas, this year’s hires build upon existing strength to create a world-class Natural Language Processing Group at UW, and to provide outstanding new talent across already strong core areas of Systems, Security, Data Management, Programming Languages, and Software Engineering. These hires create enormous collaboration opportunities among the new hires themselves, with existing faculty, in the greater university, and with our many close colleagues at organizations such as Amazon, Google, Microsoft, the Allen Institute for Artificial Intelligence, and the Institute for Systems Biology that make Seattle an amazing place for computing research. Located in one of the world’s most vibrant high-tech regions, UW CSE is committed not only to leadership in core computer science, but also to leadership in research and education with direct impact on national and global challenges — challenges such as education, energy, biology, healthcare, transportation, scientific discovery, and the use of technology in developing regions. UW CSE has achieved great success and impact through activities that make technology better, and through activities motivated by how innovations are put to work. Our recent growth, coupled with Seattle’s growth as a dynamic center of creativity and innovation, make it a particularly exciting time for Computer Science & Engineering at University of Washington. We fully expect that it will only get better!